This historic 1926 map reprint shows the state highways, county boundaries and settlements within the State of Missouri as it existed in 1926. This map includes the locations of a large number of small settlements, some of which no longer exist or are now known by another name. 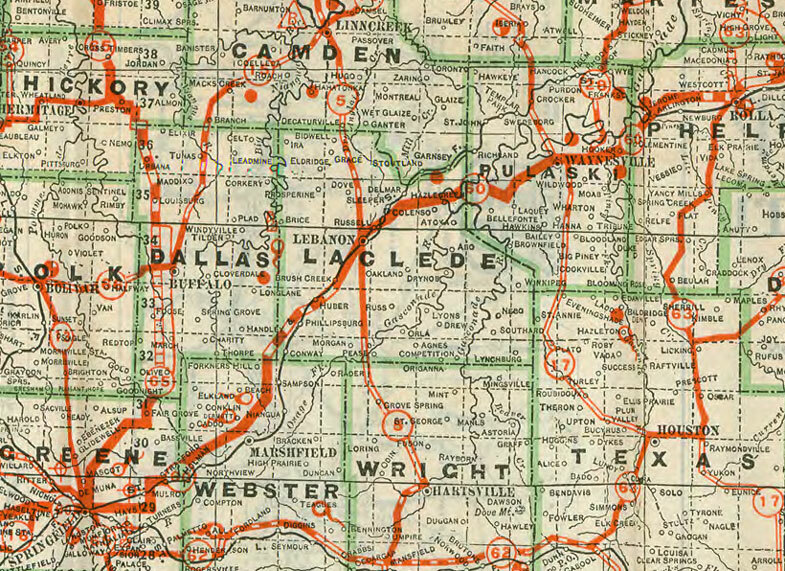 This reprint is of an original 1926 State Highway Map of Missouri, copyrighted by Geo. F. Cram. This map is reproduced as a digital ink jet print in full color, measuring approximately 12.7 x 17.8" centered on 13 x 19" heavy 32 lb paperstock. Our 13 x 19" map sheets are inserted into protective plastic sleeves and mailed rolled in a sturdy mailing tube. 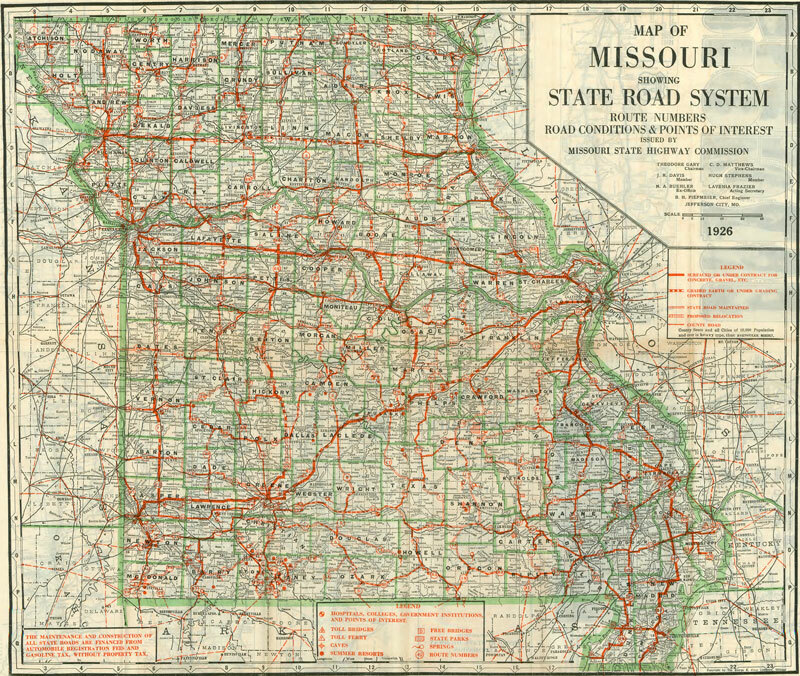 Since we offer many different maps and county history and genealogy CDs, please be sure to specify that you wish to order the Missouri State Highway 1926 Historic Map Reprint. If ordering more than one map, the shipping cost is $1.95 for the first map plus only 25 cents shipping for each additional map purchased.